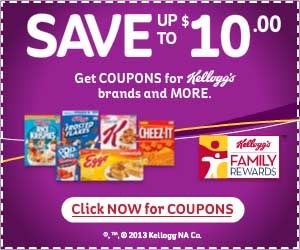 Kelloggs is BACK with $10 worth of awesome coupons! Grab your coupons and be ready to score! We'll keep you posted on how to put them into ACTION!